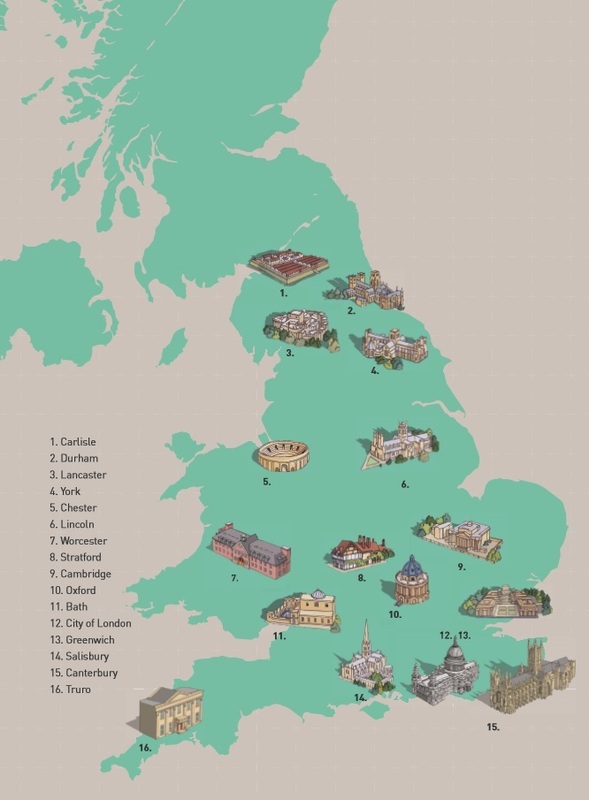 A selection of England’s Historic cities packaged into pre-bundled rail itineraries, departing from London. England’s Originals brings together a selection of England’s historic cities, into five pre-bundled rail itineraries. With a focus on London as a departure point, each itinerary aims to present a group of cities and show a fascinating slice of England’s heritage. From browsing medieval shopping malls, to making your own gin, or visiting the coast to coast wall built to keep the neighbours out – there are 3000 years of history to choose from. The project has also developed an app which allows visitors to benefit from augmented reality interaction with at key historical landmarks in each of the key cities. England’s Originals offers a simple way to extend your England product offering, with the simplicity and flexibility of rail travel making it easy to experience a number of our historic cities. A selection of attractions, experiences and accommodation for each city is being placed on www.visitlondon.com/englandoriginals. Anew booking system will support multiple tour operators to create, upload and launch their own England Originals itineraries and packages as well as enabling consumers to book one of the pre-planned itineraries and build their own bespoke versions. This will be supported by trade training materials and promotional tools. For detailed itineraries or to discuss how England’s Originals might fit within your programmes, please contact Nicola Said. If you have a product within one of the 16 historic cities, which will appeal particularly to millennials, then please contact England’s Originals to see how you might be able to get involved in this exciting project. Please email Nicola Said in the first instance, for more information.